12 to 15 lbs large slicing tomatoes, washed. 1 oz each of fresh parsley and basil, cut into a blendable size with the stems. 1oz salt, about 1/2 of an egg cup, or to taste. 1/2 oz ground black pepper, or to taste. 6 caps full of lemon juice, one for each 1 quart jar and added prior to filling. One 6 quart stock pot with lid. 48 oz blender, or larger. Add 1 cup of water to pot on stove top. Set to med heat and cover. Remove tops from tomatoes, cut around stems. 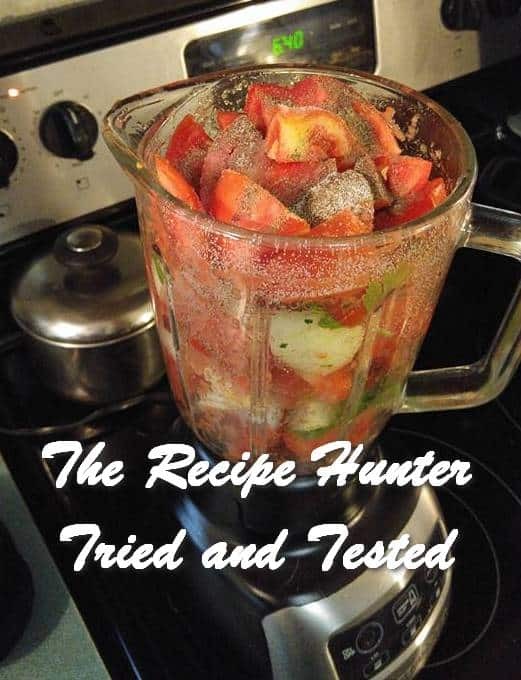 Discard the stems and add tomato pieces to blender. 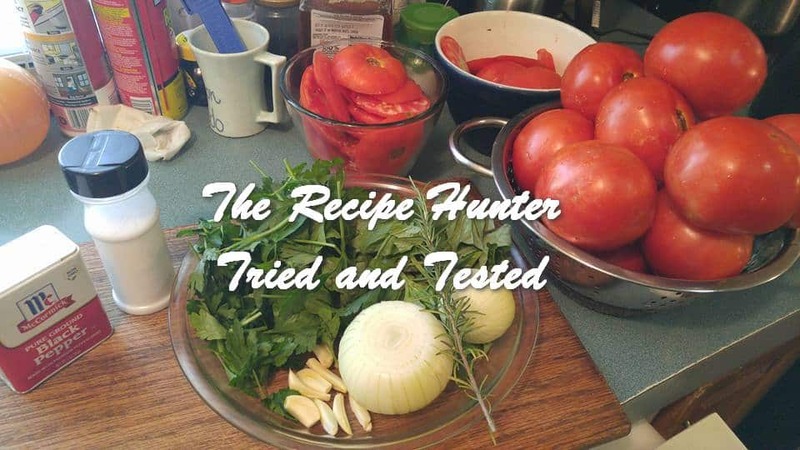 Slice remaining tomatoes into 6 or 8 pieces and add to the blender. With each layer of tomatoes, add a layer of the herbs and onion. Add salt and pepper proportionally to each load. Pulse and blend on low, adding ingredients until blender reaches it’s capacity. Blend on low,increasing to medium then high, until completely reduced. Add to pot and stir. Repeat each step until pot is at capacity, stirring frequently until boiling. Reduce to simmer, cover and cook for 20 minutes. 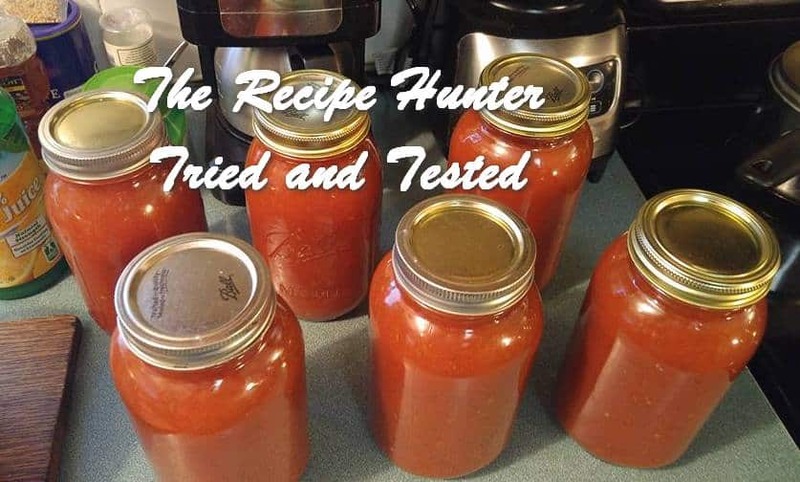 Fill each jar to 1″ below the top, stirring with each ladle removed to ensure the even distribution of the “goodies”, and cap immediately. Once the lids “pop”, the jars are sealed. Check the bands for tightness and allow to cool completely before storing. Note that the tomatoes are neither peeled nor seeded, hence the tremendous flavor achieved and the added benefit of the fiber is not to be discounted.